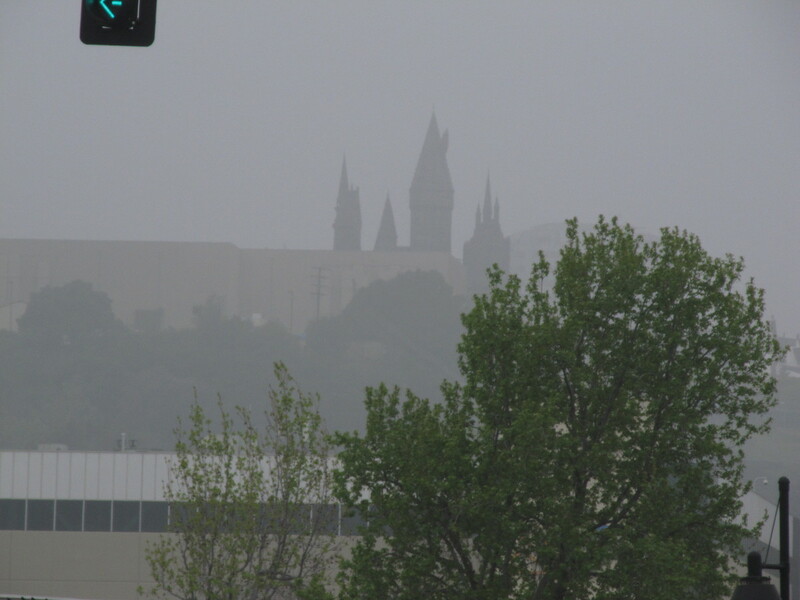 This weekend, Kathleen was going to get a haircut, and she said she could see the towers of Hogwart’s at Universal Studios from the road. So I thought that this should be the Sunday Morning Ride’s sightseeing for this weekend. 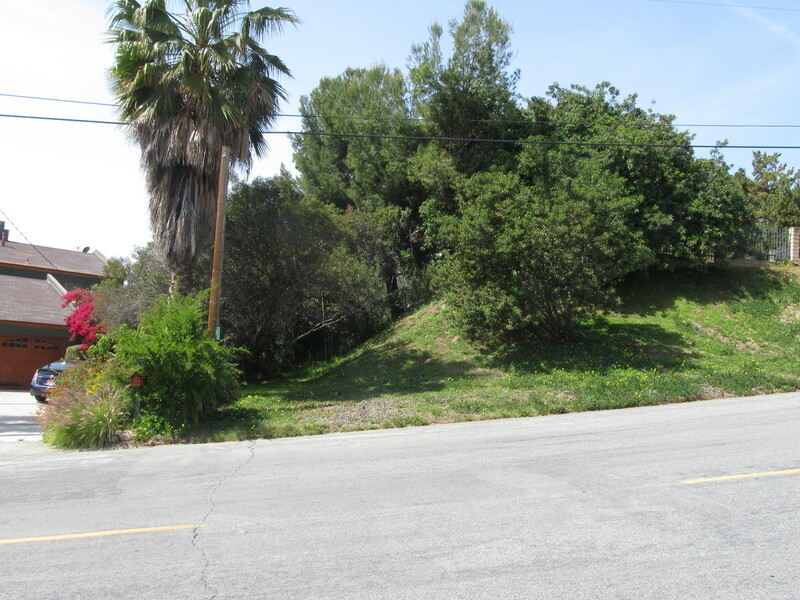 The route was our old “Toluca Lake” ride, with a brief stop at the intersection of Forest Lawn Drive and Barham Boulevard to look up and see the back side of Hogwart’s. As it turned out, it was kind of foggy this morning, and when we got there, it was still kind of misty, but then again, Hogwart’s is the sort of place that is perhaps best viewed through the mist. On the way out, Carla got a flat. I volunteered to help fix it, since my years of working in bike shops, although being almost 40 years ago, still make me one of the fastest tire-changers in our Sunday morning group. So after just a few minutes, we continued on our way. 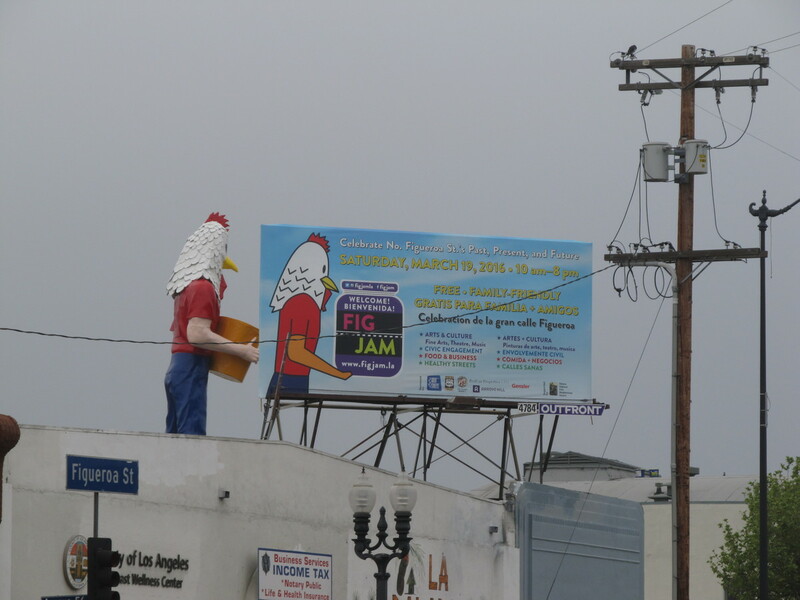 We crossed over into Highland Park, where we saw a billboard advertising a street fair celebrating Figueroa Street, complete with Chicken Boy. And the billboard was right next to the actual Chicken Boy, so I had to stop and get a photo. 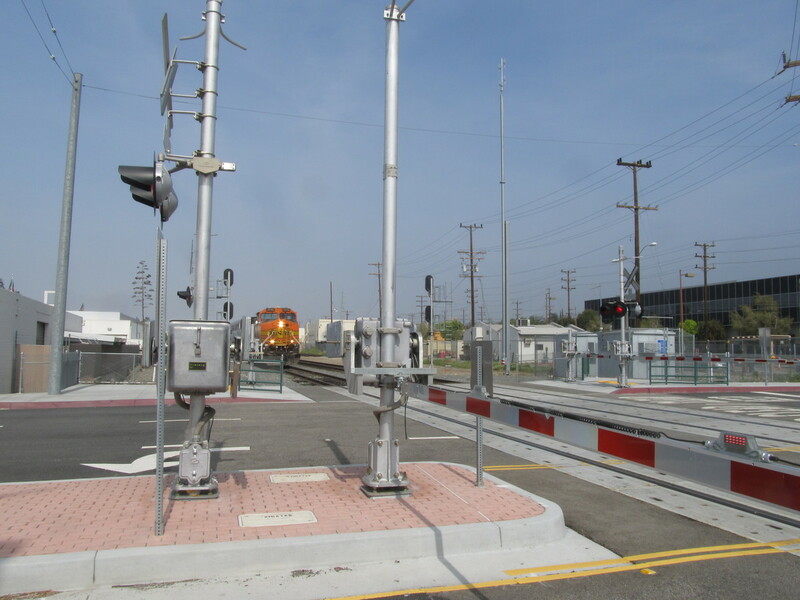 The plan had been to take the LA River bike path, but the city had closed most of it in anticipation of big El Niño rains that have not yet come. So we ended up taking Riverside Drive all the way up to Griffith Park, and then through the park to Forest Lawn Drive. We were still pretty far from Barham when I first saw the towers of the castle. And when we got to Barham, it was pretty plainly visible, even with the mist. I took a quick picture before continuing on to our snack stop at Priscilla’s. The route home went across Glendale and then up Verdugo all the way to Hospital Hill, and then home by way of La Cañada. When we got back to Pasadena, Silvio, Carla, and I took a short side trip to see a fault scarp in Altadena. I’d read about trenching studies that were done there in the lat ’90s, and I was thinking about possibly including it on the next version of the Earthquake Tour for Atlas Obscura. The scarp was fairly big and obvious, but I’m not sure it’s quite worth making the side trip with the big group. Still, it was a nice ride.